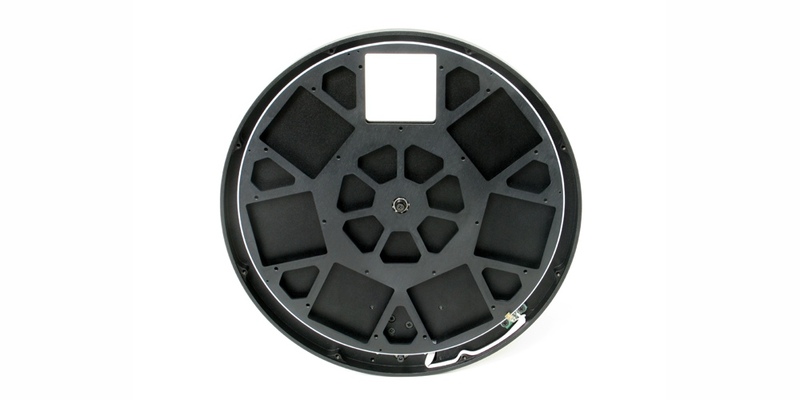 Moravian motorized filter wheel EFW-4L-7 is to be used with G4 series and it accepts up to 7 50 x 50mm square filters. Thanks to special control electronics, the filter wheel is connected directly to Moravian G4 CCD camera body, it does not require to be connected to the control PC and it does not need for external power supply. This Moravian motorized filter wheel is to be used with G4 series of CCD camera and it accepts up to 7 50 x 50mm square filters.